PHOTO: Keke, Keke. Kekai, Robert Rabbit gets a big kiss for the winning daddy. Photo Courtesy John Titchen. October 17, 1966. 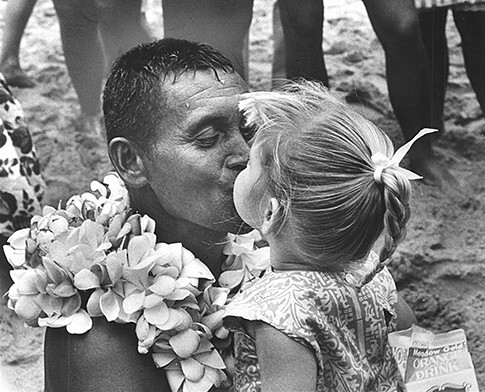 The last of the Waikiki "beach boys" that began his surfing with Duke Kahanamoku in the Thirties. 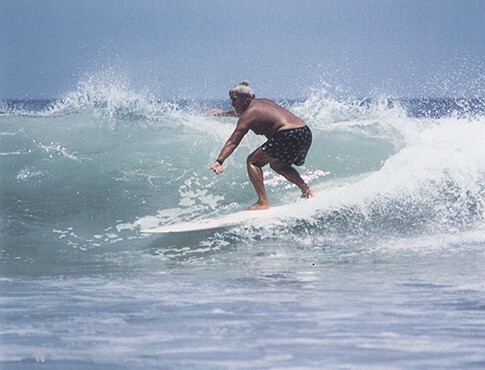 Rabbit was a successful competitor in the early Hawaii surf contest like the International Makaha Championships of the '50's. 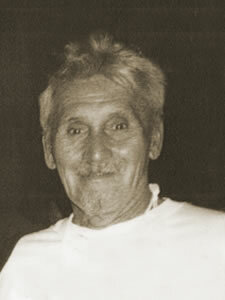 He also pioneered surfing on the North Shore, which is the mecca each winder for the modern surfing community. Rabbit passed away on May 13, 2016.